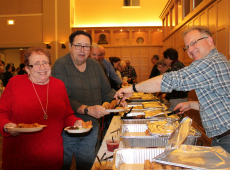 For the past 80 years, Temple Brotherhood exists to exemplify Jewish values by engaging and giving back for the greater good of our Congregation and Community through fellowship, fundraising, programming and volunteerism. 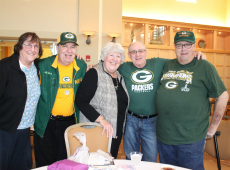 We encourage participation through camaraderie and friendship to help our Congregation and community. Use our online form to join, re-join or pay your annual membership dues. 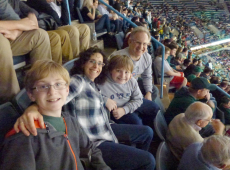 Through fundraising activities such as; the Temple Directory, volunteering at Miller Park, Lox Box, Yom Hashoah Candles, and our Family Mini Golf Outing, we strive to raise money to support our Congregation and provide fun activities. We are always looking for new volunteers and ideas, so please let us know if you would like to become more active within the Brotherhood. Contact Garrett Buttenhoff for more information at gboot@sbcglobal.net. The Brotherhood has been volunteering at Miller Park for over 13 years, running a concession stand. Over this time we have raised more than $95,000. If this sounds like something that you would like to become a part of, please reach out to Mark Holland or Garrett Butenhoff for more information. Summer Camp Scholarships are available for families with children up to the twelfth grade from two separate funds. The Jack and Renee Dygola Campership and Education Fund awards scholarships to URJ camps like Olin-Sang-Ruby Union Institute. The Michael K. Fefferman Fund awards scholarships to all other accredited Jewish summer camps like Camp Interlaken. A restricted number of scholarships will be awarded because of limited funds. Applications may be found in the Lifelong Learning Office. Just call or stop in and check with one of the rabbis and an application will be happily given to you. Check out the Brotherhood Display Case on the first floor by the elevator. This is where you’ll find updated activity information and see our new Brotherhood brochure. For further information, please contact the Brotherhood President.